Editor’s note: The following is the eighth in a yearlong monthly series on the world’s mega-sized Ferris wheels. Chicago’s new (debuted 2016) Navy Pier’s Centennial Ferris wheel is about 200-feet tall, a midget in today’s mega Ferris Wheel era when you figure the London Eye reports in at 450-feet tall. 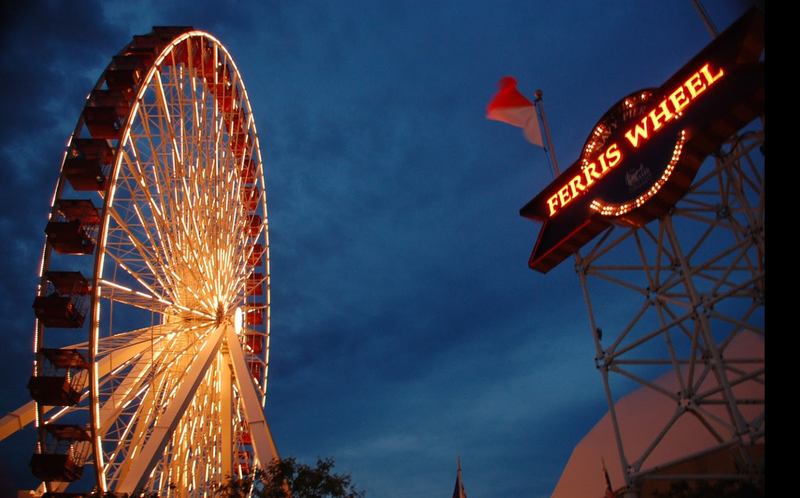 Windy City officials believed the Navy Pier Wheel is a perfect fit for the Lake Michigan tourist venue, which drew almost nine million visitors last year. The Ferris wheel's been part of Chicago’s downtown skyline since the original wheel debuted at the 1893 World’s Columbian Exposition. That first wheel was built by George Washington Gale Ferris Jr.
At 196 feet tall, the new Navy Pier wheel is 48 feet taller than the structure it replaced. The old wheel was moved to its new home Branson, Missouri.